The Spotlight plug connector radiator is used when the existing lighting situation is to be supplemented in your premises if required. The spotlight is quickly stowed away in the drawer and used when needed spontaneously. 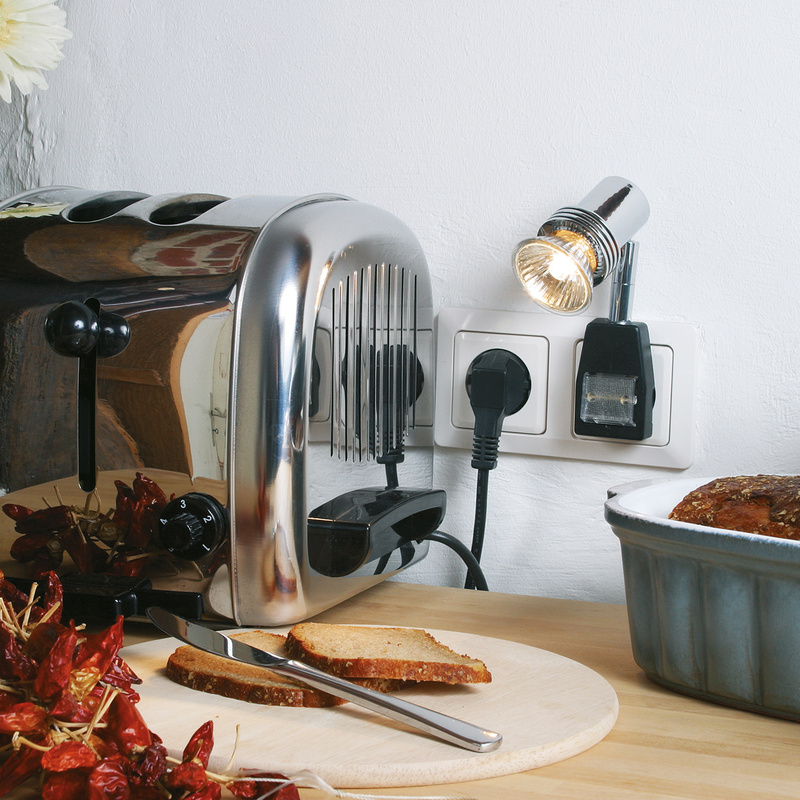 Thanks to the swiveling and rotatable head, the luminaire is particularly suitable among others for use above the work surface in the kitchen. The right head for your radiator, you can choose from different variants.